PRICED TO MOVE $500 below NADA Retail!, FUEL EFFICIENT 35 MPG Hwy/25 MPG City! 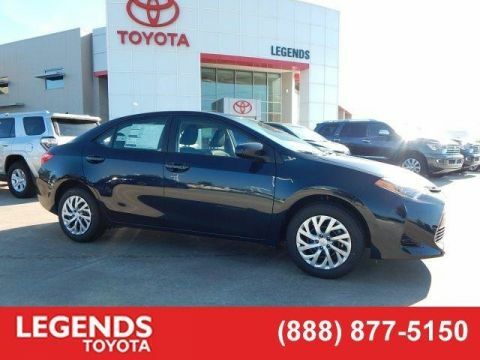 Excellent Condition, Toyota Certified, GREAT MILES 33,293! iPod/MP3 Input, Bluetooth, CD Player, PROTECTION PACKAGE (Q2), Alloy Wheels, Back-Up Camera AND MORE!KEY FEATURES INCLUDEBack-Up Camera, iPod/MP3 Input, Bluetooth, CD Player Rear Spoiler, MP3 Player, Aluminum Wheels, Keyless Entry, Remote Trunk Release.OPTION PACKAGESPROTECTION PACKAGE (Q2) Door Sill Enhancements, Rear Bumper Applique, Body Side Moldings. Toyota SE with Blue Crush Metallic exterior and Black interior features a 4 Cylinder Engine with 178 HP at 6000 RPM*. 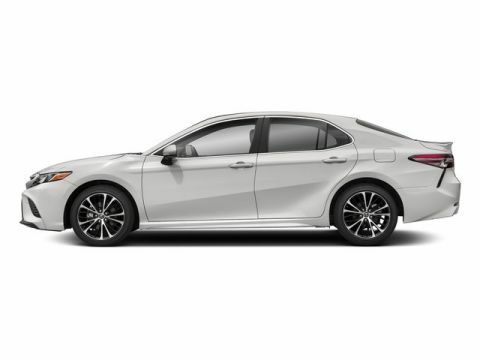 Non-Smoker vehicle, New Tires.EXPERTS REPORTEdmunds.com explains The 2016 Toyota Camry provides one of the most comfortable and spacious cabins of any midsize family sedan. 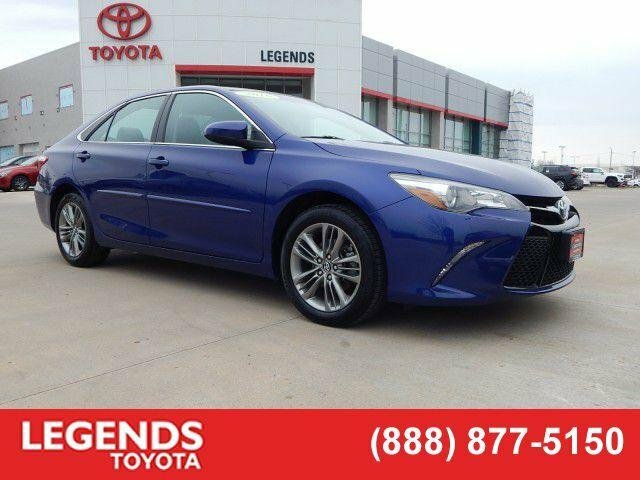 There's plenty of headroom and legroom up front and not much less in back, where even taller adults will be content to ride for extended periods.. Great Gas Mileage: 35 MPG Hwy.EXCELLENT VALUEThis Camry is priced $500 below NADA Retail. Approx. Original Base Sticker Price: $23,800*.PURCHASE WITH CONFIDENCE12-Month/12,000-Mile Limited Comprehensive Warranty, 7 Year/100,000 Mile Limited Powertrain Warranty from date of original purchase, 160-Point Inspection and Reconditioning, 1 Year of Roadside Assistance, Vehicle History ReportBUY FROM AN AWARD WINNING DEALERLegends Toyota, an award-winning, full-service Toyota dealership, offers new, used and certified pre-owned cars. We're part of Baxter Auto, a Midwest dealer group serving Kansas City, KS, Omaha, NE and Lincoln, NE. 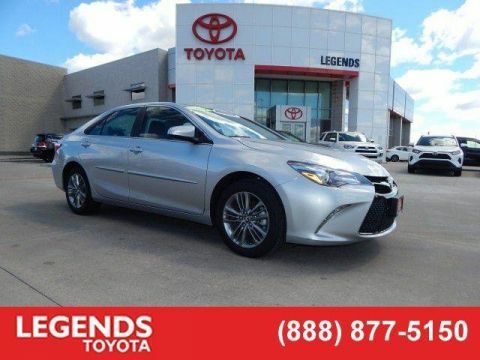 At Legends Toyota, we're driven to be the best Toyota dealer in Kansas City. We're conveniently located at 10100 Parallel ParkwayPricing analysis performed on 4/1/2019. Horsepower calculations based on trim engine configuration. Fuel economy calculations based on original manufacturer data for trim engine configuration. Please confirm the accuracy of the included equipment by calling us prior to purchase.